On booking a flight, have you ever got a feeling that airlines took way all your money? Yet again, for the baggage, early check-in, leg room and who knows if over time, you will even be asked to pay for the oxygen mask. Air travel has changed a lot over past few years. It’s no more the same. However, you can’t blame it all on the airlines and take some responsibility of availing perks smartly. How about beating the airlines with their own weapon? Booking an overbooked flight, flight delay or crowded airports can also turn from bane to boon for your air travel. What if we say it could be your ticket to first class coach? You just need to follow these travel hacks to get free stuff from your airlines. Read on to get smarter in the game! On an overbooked flight, airlines ask if someone is ready to volunteer in giving up their seats and take another flight. You must be thinking why you should give away your seat? Won’t you for a free travel voucher, meal voucher and not even if the airlines bear an overnight hotel accommodation for you (if needed)? During peak season: This is the period when people are less likely to alter their travel plans. May be, travel before a holiday. When they are in search of a volunteer, do not be the one to take the first offer. Volunteering too early might not bring you the best offers. It’s better to make an offer back. If volunteering brings you a total change of travel plans, you can even ask for a free airline ticket promotion. You might not be an exception like a female traveler who got an unbelievable $10,000 travel voucher for the troubles. However, you can always ask for a travel voucher of $500 or $800, get a meal voucher and also ask them for a seat upgrade when they are on the roll. Give me what you got! Believe it, airlines have a lot to offer you for free. So, better ask for it. The first trick of this proven hack is getting along well with the flight attendants. They are someone who remains stuck with grumpy people all day. These are the gold diggers who have all the access to freebies on the plane. They could be your golden key to unlock that treasure box. Be good to them. While you board the flight, pass them a genuine smile with a ‘Hello’ and if you can help them settle other passengers, do that. In any case if you want to go that extra mile, get them chocolates or small gifts. When you are in queue for the washroom, start a general conversation with them. These small yet genuine gestures make them feel happy and may be you could land up having some freebies. Airlines such as American Airlines have quite a good record of offering freebies to flyers. Wanna try your luck? Have you ever sneaked a chance for a free airline ticket promotion? You can try this at the check-in point by asking for a seat upgrade. On the plane, do not feel shy to ask for a free meal, if there’s one or you can simply stay filled with the snacks and beverages. Most flight inconvenience can get you a free stuff but weather delays can’t be the key to get money. Try anything else and you will land up having interesting freebies in hand. Broke your headphone jack? Is your flight delayed for two or more hours? Didn’t you get the free Kosher meal? Was the Wi-Fi network slow? For all these situations, you can ask for a rightful compensation. It can be anything from money, perks to miles. Chuck the free stuff. Want to know how to fly for free? If you are lucky enough to be on a flight delayed due to maintenance or crew-related issue, you get a good compensation and might be a free flight in future. In situations like these, the airlines are obliged to make you happy with such compensations, especially if your travel plans are ruined. Remember, they won’t give away what you owe. Always learn to ask and negotiate for it. In case of baggage delay, the airline owes you $50 stipend for each delayed day (depending on the situation) and also needs to buy you the required items before the baggage is safely returned. At security check, if you paid for the baggage, also ask for a refund of that money. 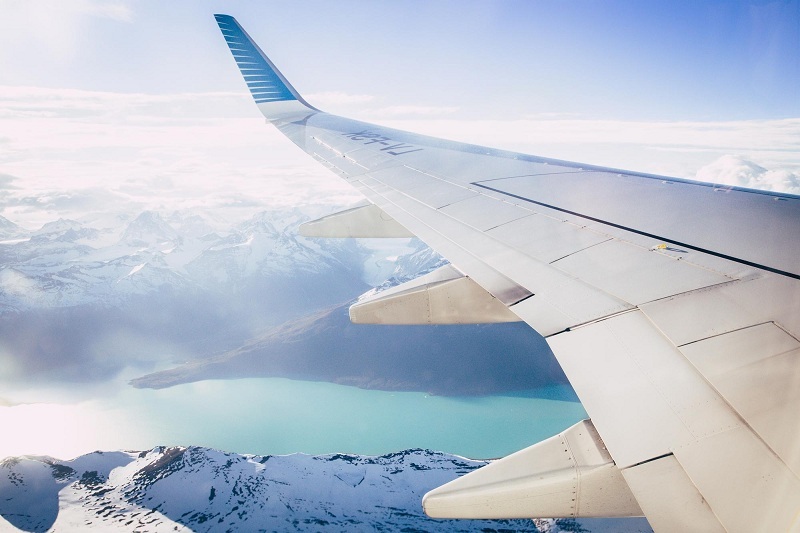 Now that you know the significant travel hacks for availing freebies in flights, plan your next trip by booking cheap flights with Indian Eagle. Just know how to play your cards right and the rewards might help you get a free international flight. Yes, you can make a lot of money. All the best!